So far in 2018 we have sold MANY of these beautiful trees already. 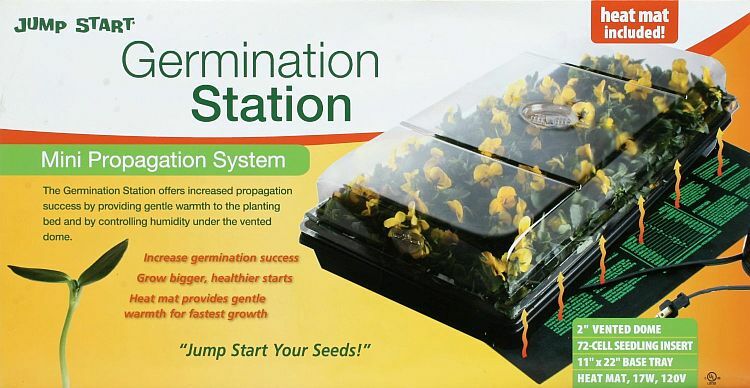 (See our website for images and details of what we have available). 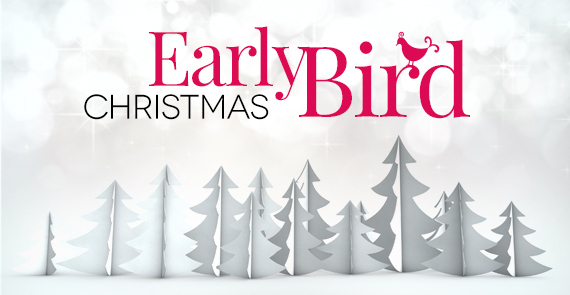 We encourage you to VISIT us soon to ensure you get yours as many sell out quickly! They have a unique pre-assembled foldup style of assembly. This results in very quick and easy set up and take down. There are no colour coded panels or pieces. Most tree styles have all metal hinges for years of durability. 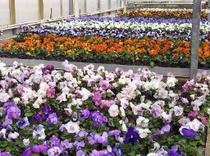 They are made of hypo-allergenic material and are flame resistant. It's not how many tips there are - it's how much material is on those tips! 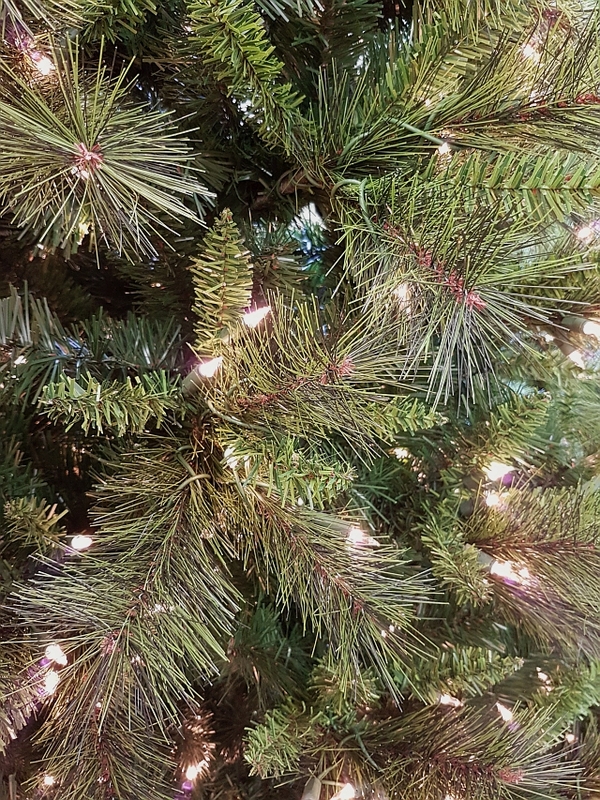 Our trees are full and thick - and don't require tons of decorations in order to look good. You can easily see the difference! The tree needle material contains a UV inhibitor. 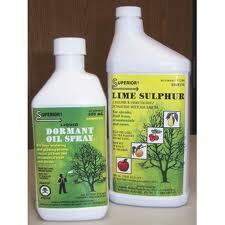 Most trees contain more than one colour of tree material, and many have quality Polyethylene tips. Both make for an even more realistic looking tree. A heavy duty metal stand is included with each tree. 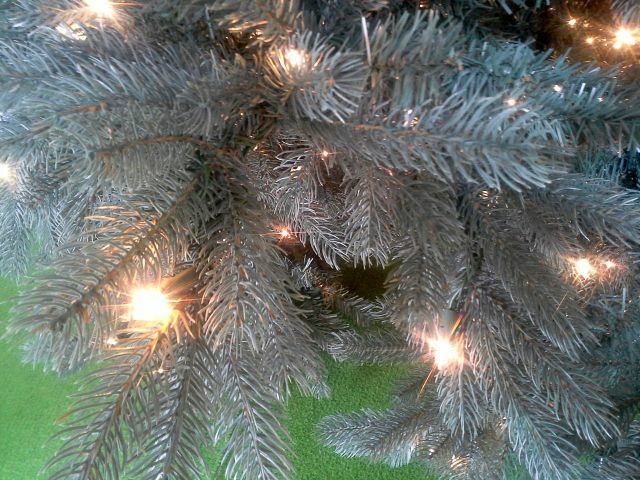 Pre-lit trees have convenient 'step and light' switches so you won't have to crawl under the tree to find a switch to turn it on or off. The Christmas Tree box is compact and in good condition when you receive it. Q. What are Stay-lit® lights and how are they different? A. With a traditional strand of lights on a pre-lit tree, if a bulb goes out on the string it is important to put in a new one for the one burnt out, as the other lights on the string will 'work harder' with fewer lights. Changing a bulb on a light string is neither difficult nor unexpected, but it IS something that folks don't often check upon doing. 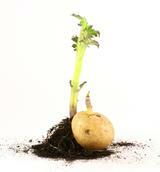 If a bulb is 'loose in the socket', it is possible that a small portion of your tree will be un-lit. 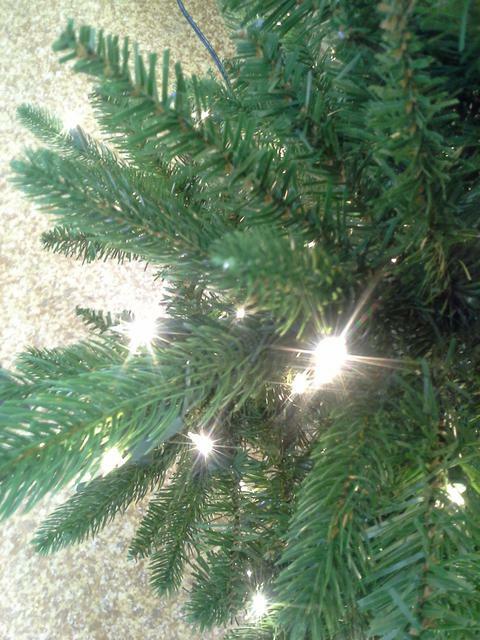 Some very inexpensive trees that are lit in series can have a great deal of the tree go out with a loose socket. With a Stay-lit® light string, you need never worry about an entire strand of lights going out again or having to climb up a ladder to find that one bulb that is causing the entire strand of lights to go out! A hundred years from now, a Stay-lit® Christmas light string will never have gone out. 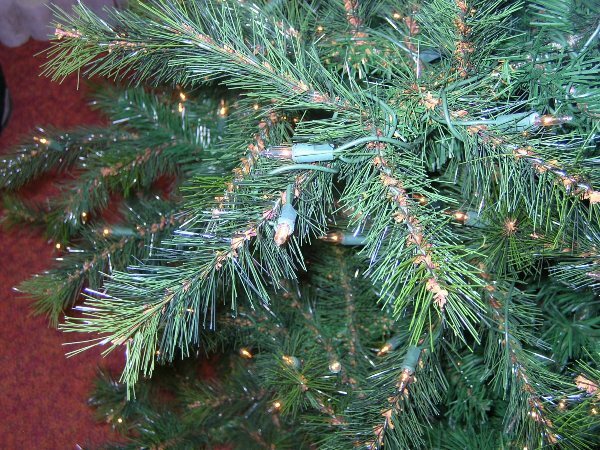 Yes, individual bulbs may burn out from time to time on a Stay-lit strung tree, but the string will never go out – (unless, of course, you cut the wire or a fuse blows!). The reason for this is that inside of every light socket there is a tiny thermistor microchip that acts as a ‘silent sentry’ to keep the light string operating. When all bulbs in the string are operating properly, the chip does nothing. However, as soon as something happens to a bulb – whether it gets broken; becomes loose in the socket; falls from the socket; burns out or whatever – the chip takes over and acts as if it were a bulb to keep the rest of the string operating properly. It even acts as a kind of “surge protector” to protect the bulbs from power surges caused by other bulbs in the string burning out. It is important to know that the bulb being used in the Stay-lit light string is NOT a proprietary and hard to find bulb. Almost any bulb, with a Stay-lit bulb base, can be used. Clicking on the tabs at the top of each tree type will present larger images and current prices. Please note that tree supply is VERY fluid in season. We will do our best to only indicate those models still available on these pages. This thick and strongly tapered tree has soft realistic medium green spruce tips with decorative evergreen cones dispersed throughout the tree. It is available in three sizes - each with different characteristics. The 7.5' size is 59" wide at the base and it has 2209 tips and 700 Stay-lit clear lights. The stunning and very impressive 9' size is a grand and very full 71" wide and offers 3471 tips and 1150 Stay-lit clear lights. The monumental 12' size is a full 99" wide at the base with 6831 tips and 2200 brilliant clear lights. 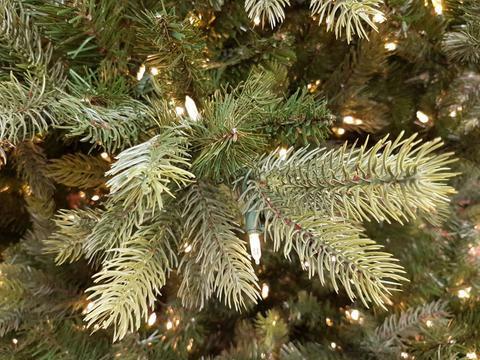 This thick and strongly tapered tree has soft realistic medium green spruce tips with decorative evergreen cones dispersed throughout the tree. It is available in two sizes - each with different characteristics. The 7.5' size is among the narrowest trees offered being only 45" wide at the base and having 1565 tips and 500 Stay-lit clear lights. 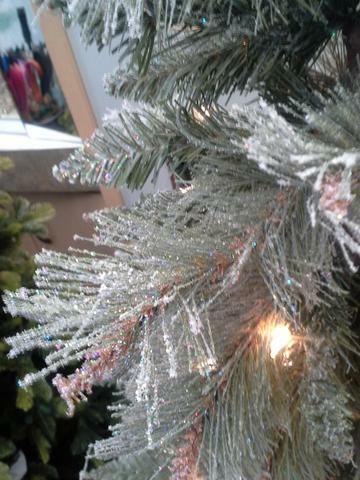 This gorgeous tree has multi-hued natural looking needles for a very realistic look. Similar in appearance to the Sylvan Fir but with a bit more open branch character, it will be a beautiful addition to any room. It is available in two sizes. The 7.5' size is 68" wide at the base with 1719 tips and 800 clear LED lights. The 9' model is 76" wide at the base with 2875 tips and 1350 clear LED lights. A magnificently detailed tree worthy of it's 'Grand' name, with beautiful multi-textured and multi-coloured branch tips and broadly tapered form. It is one of our most popular styles as it is one of the 'thickest and bushiest' trees you will ever see. Now available in more sizes to meet almost any room requirement. 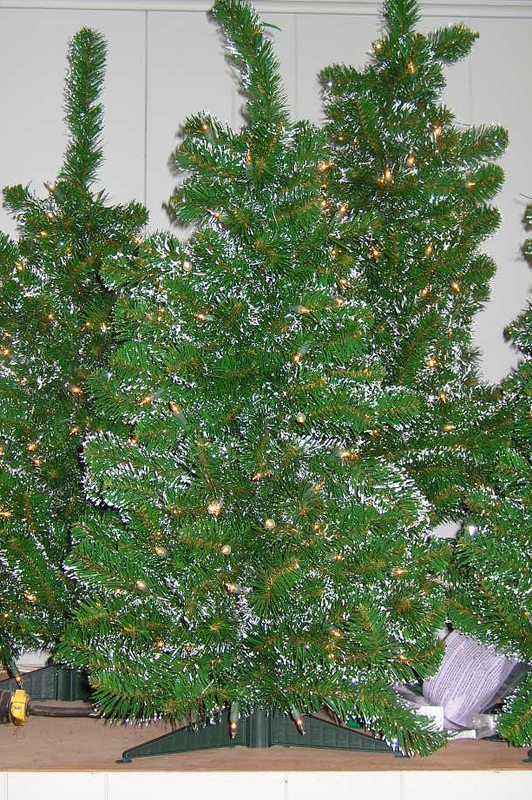 The 6.5' tree is 55" wide and has 1054 tips and 550 Stay-lit Clear lights. 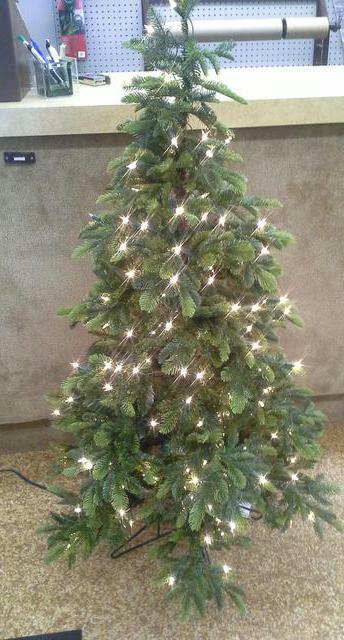 The 7.5' high tree is 60 inches wide and has 1669 tips and 800 Stay-Lit clear lights. 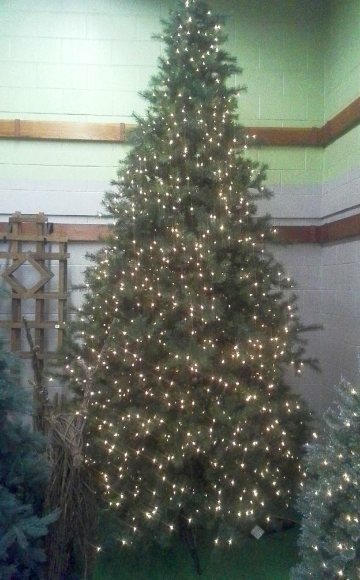 The 9' tree is 70 inches wide with 2673 tips and 1300 Stay-Lit clear lights. The 12' tree is 84" wide with 5355 tips and an amazing 2450 Stay-lit clear lights. This gives a much better idea of the 9' tree's 'thick' character - decorated for fall. This tree will have you look twice to know that it isn't a live tree! 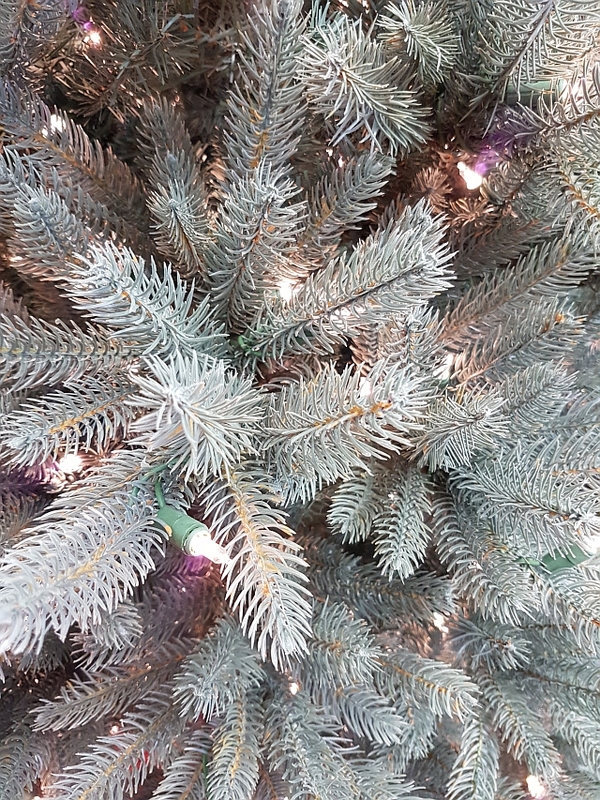 The colouring of this tree is very similar to our Northern Blue Spruce, but where the Northern Blue Spruce has a bit more of a layered look to the branches, the Muskoka has an appearance that is even more dense with branches and realistic needles. Blue is a difficult colour to reproduce in a tree, but this one is subtle, elegant and will not overpower your decorating theme. The 6.5 ft. size is 52 inches wide at the base with 1924 tips and 650 Stay-Lit clear lights. The 7.5 ft. size is 58 inches wide at the base with 2884 tips and 800 Stay-Lit clear lights. 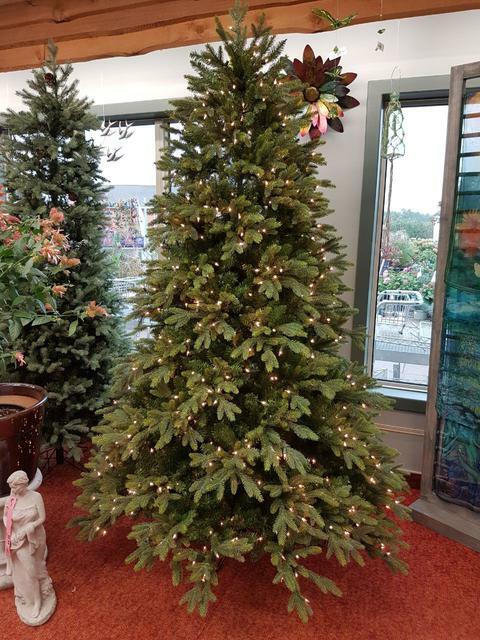 This large thick and heavily illuminated tree is sure to make an impression in a larger space - it has presence! 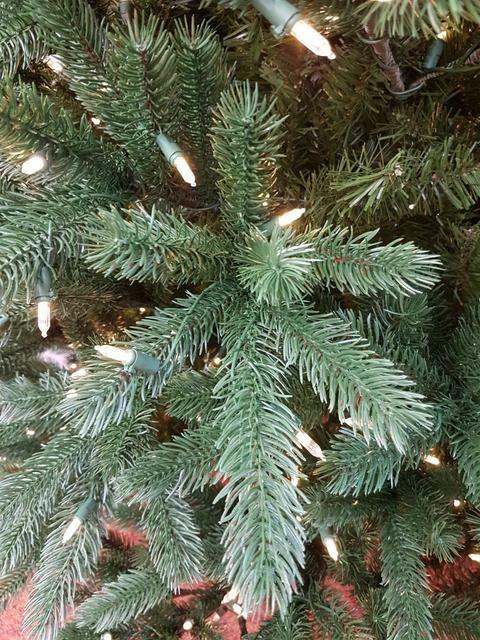 Thick lightly blue green needles with tapered tips offer a realistic Colorado Spruce-like appearance. Blue is a difficult colour to reproduce in a tree, but this one is subtle, elegant and will not overpower your decorating theme. The 7.5 ft. size is 68 inches wide with 1719 tips and 800 Stay-Lit clear lights. The larger 9 ft. size is 76 inches wide with 2875 tips and 1350 Stay-Lit clear lights. 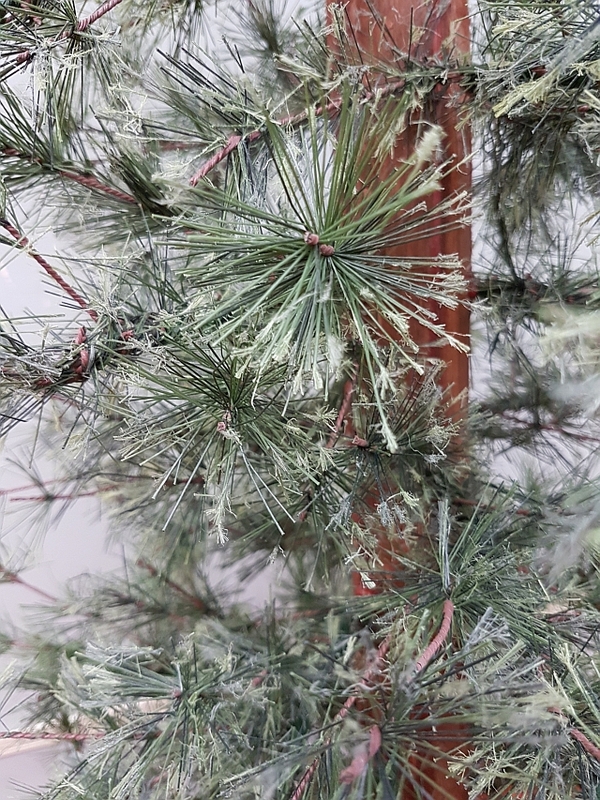 A realistic pine is a difficult thing to recreate with traditional artificial tree materials. 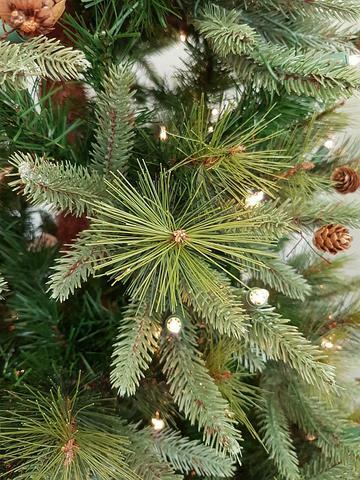 This premium tree replicates the classic pine needle and overall tree texture perfectly and the included pine cone accents complete this effect. 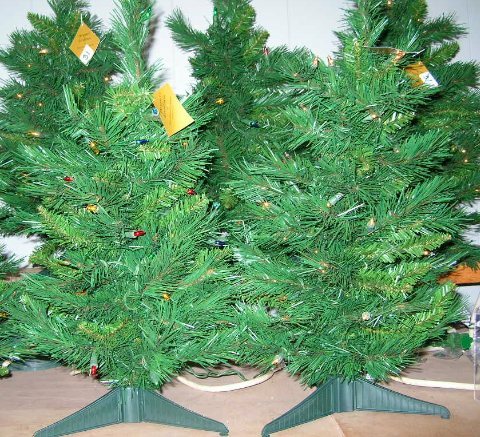 It is available in so many sizes as it has proven to be among our most popular trees. 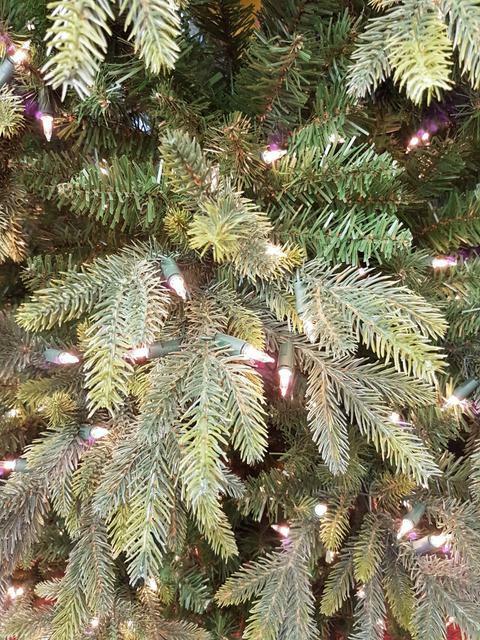 Sizes and specs are as follows: 4.5' tree is 31" wide with 351 tips and 200 Stay-Lit clear lights, 6.5' tree is 40" wide with 723 tips and 350 lights, 7.5' tree is 46" wide with 997 tips and 400 lights and the 9' tree is 55" wide with 1573 tips and 650 lights. New One-Plug model has innovative centre pole that connects all illuminated layers together with no plugs in the tree to connect, and has Stay-Lit bulbs. If you walk through the Christmas tree plantations in Quebec you often will see a majestic perfectly trimmed premium tree alone in a clearing. This tree evokes that same feeling of 'wow' with it's realistic premium multi-material composition, rich colour, huge light count and very full appearance. Available in two sizes. 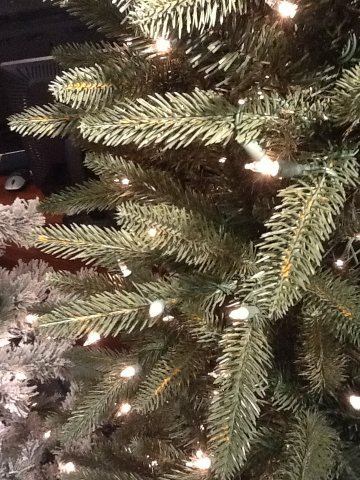 The 7.5' tree is 62 inches wide offering 2009 tips and 950 Stay-lit clear lights. 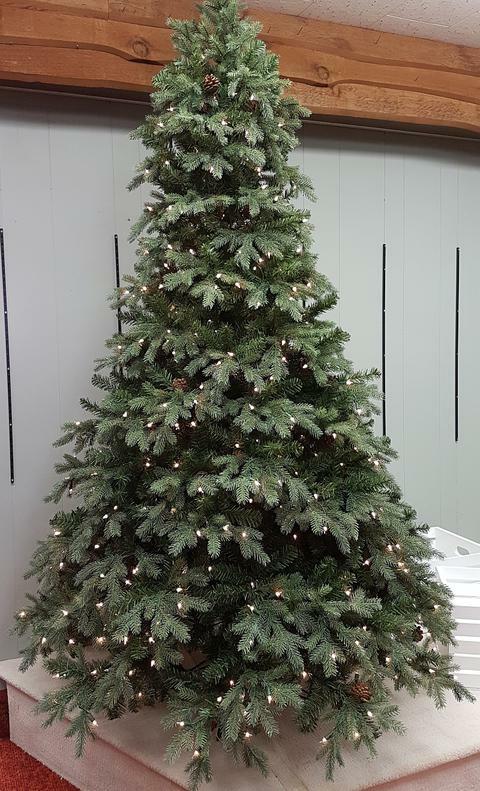 The 9' tree is 72 inches wide with an amazing 3241 tips and 1400 Stay-lit clear lights. 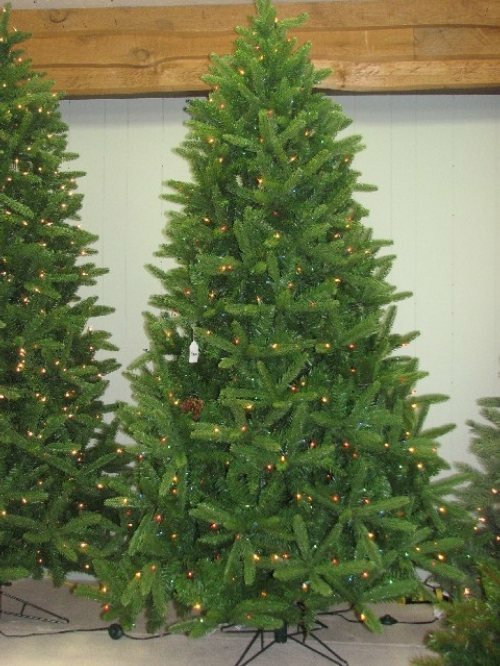 These new additions to our collection are sure to draw comparisons to our premium real Fraser Firs - as it is super thick and full with a strongly tapered form. How thick and full you ask? VERY! 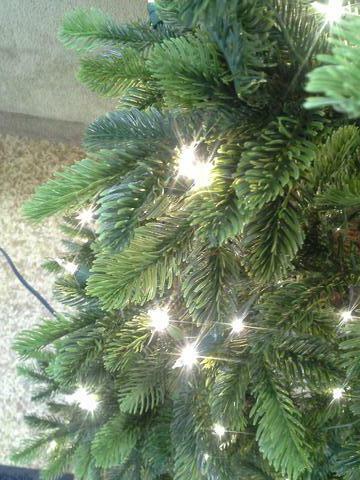 It boasts as many or more realistic medium green fir-like tips and Stay-lit lights as models that are much larger. The 7.5' size is 52" wide at the base with 2328 tips and 900 Stay-lit lights. The bottom 'shearing' of the tree is slightly upturned too (you know...to accommodate the BIG presents from your spouse). Our popular real Fraser Fir trees have long been a favourite, and these are the very closest representations we've ever found. 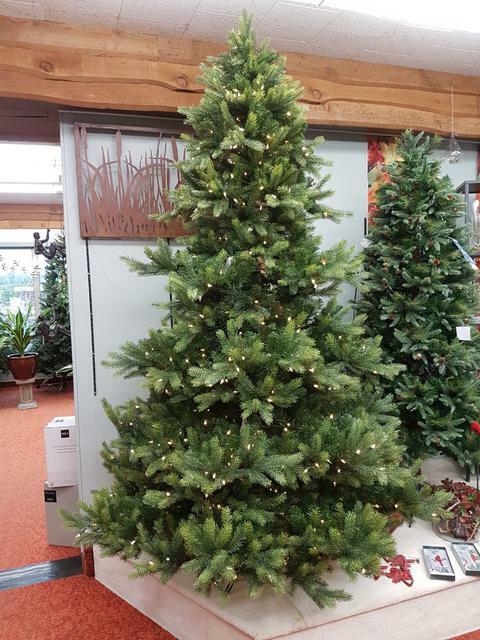 Available in two tapered widths (a slim model is listed below), this average tapered tree offers realistic soft fir/spruce like tips with a full looking form and ample places to put your treasured decorations. 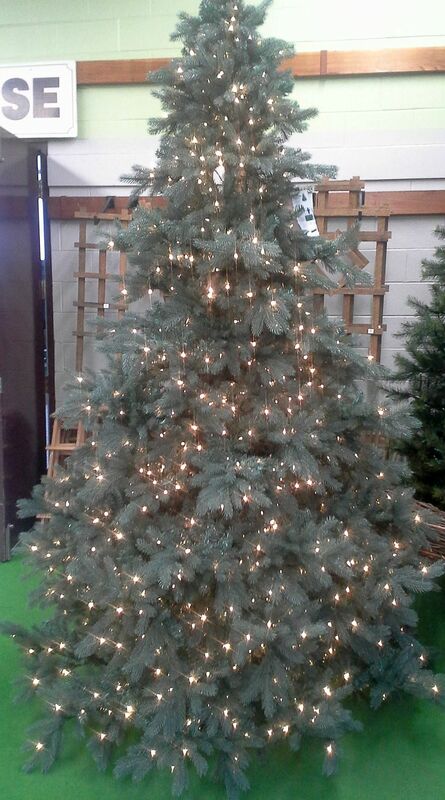 Available as a 6.5' by 51" wide tree 1414 tips and 550 lights and a 7.5' by 57" wide tree with 1846 tips and 700 lights. Our popular real Fraser Fir trees have long been a favourite, and these are the very closest representations we've ever found. Available in two tapered widths (see also average tapered model listed above), this slim tapered model offers realistic soft fir/spruce like tips with a full looking form and ample places to put your treasured decorations. The 7.5' tree is 48" wide tree with 1454 tips and 600 lights, the 10' tree is 60" wide tree with 2678 tips and 1100 lights and the 12' tree is 70" wide with 4080 tips and 1650 lights. If you can envision that a fine evening mist has crystallized on the tips of your tree and it now sparkles at every angle, than this will give you some idea of this broadly tapered tree's appearance in your home. The delicate yet classic fir-like needles make for easy decorating too. Now available in oft requested 9' size (2199 tips and 900 Stay-lit clear lights) and 7.5' (1254 tips and 550 Stay-lit clear lights) sizes in addition to the very popular 4.5' size (perfect for apartments) that is 34 inches wide with 474 tips and 200 Stay-lit clear lights. Please scroll to the bottom of this page for details. This slim profiled tree offers a combination of realistic dark soft pine and spruce-like needles throughout its form giving the tree more depth of colour than our more Scotch Pine like colouring found on our Hockley Valley Pine offerings. It is 48 inches wide by 7.5 feet tall with 1055 tips and 700 Stay-lit clear lights. This narrow tapered tree is a best seller. 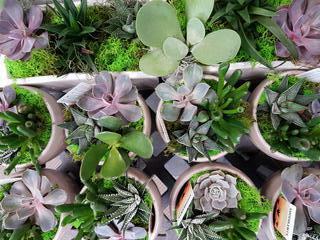 It is densely thick, offers three types of branch/needle material, and has a soft pale green appearance that would brighten dark decors. The 7.5 ft. size is only 48 inches wide and offers 1646 tips and 650 Stay-lit clear lights. The 9 ft. size is just 60 inches wide and has 2764 tips and 1100 Stay-Lit clear lights. This tree offers two tone blended needles of multiple materials in rich dark green colour with a dusting of snow on the tips. Pretty enough with pine cone accents to stand undecorated, it is easy to add your favourites. It is available in several sizes. 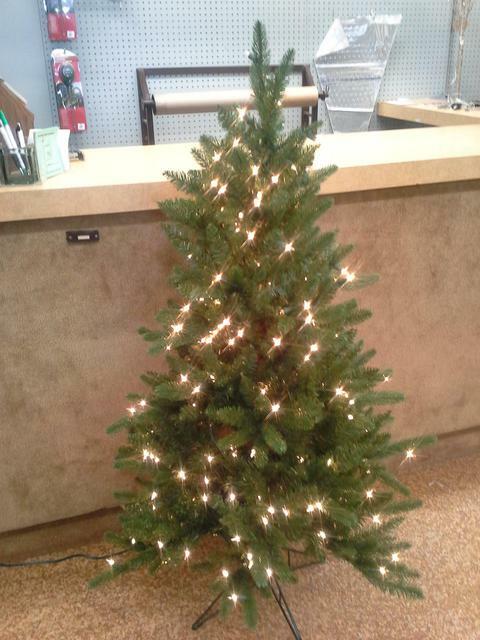 The 3 ft. size is 18" wide and offers 106 tips and 50 lights. The 4.5 ft. size is 32" wide and offers 356 tips and 150 lights. Ask about our matching wreaths too! What if you had a slim profile decorator tree with premium tips and cone highlights that makes it easy to create a themed evergreen grove? With similar styled wreath and garland (sold separately) this tree can do it. 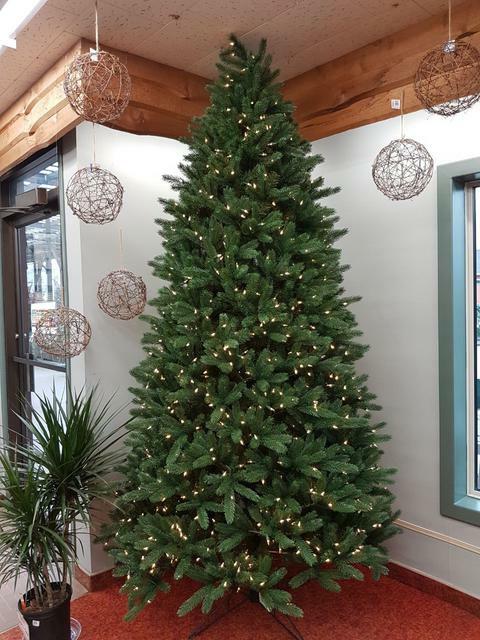 This slender tree is available in a 4.5' size with a 29" wide base with 374 tips and 150 clear lights, a 6.5' size that is 39" wide at the base with 818 tips and 350 Stay-lit clear lights and now a new 7.5' size with Easy-Pole technology that is 46" wide with 1098 tips and 500 Stay-lit clear lights. A 3 tiered grove of trees can be made in less than 10 feet of space! For many years now Grobe customers have enjoyed smaller sized fresh cut Balsam firs from Nova Scotia. But what if you want that look... but want it to last a lot longer. This tree has the same open branched habit and deep green needles of that popular tree, and it is available in a size that can be used almost anywhere. 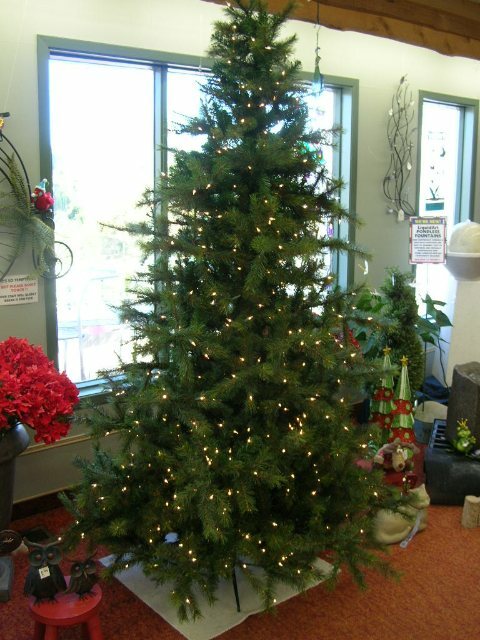 The 4.5' sized tree is only 36 inches wide offering 460 tips and 250 Stay-lit clear lights. 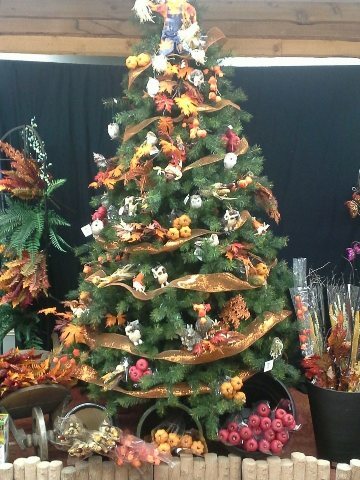 Also available as a 36" Table top tree. 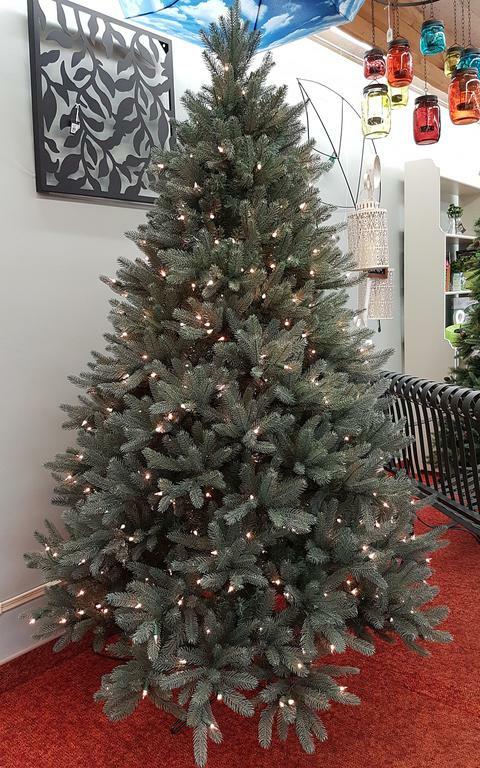 This narrow tapered tree is a thick full tree with realistic spruce tips, and because it combines a large light count with a slimmer profile, it offers a very thick light show. Suitable for a smaller room or space, it is available in a 4.5 ft size that is perfect for small room or apartment being only 26 inches wide with 421 tips and 300 clear lights as well as in a 7.5 ft. size that is 40 inches wide with 1297 tips and 550 Stay-Lit clear lights. What makes this tree special is the unique fan-shaped fronds in multiple materials which gives it a bit more open and woodsy character. This offers lots of opportunity for treasured ornaments on a tree that suits many a smaller room or apartment. With 321 tips, it is only 31 inches wide at the base with 250 Stay-lit clear lights. Matching garland is also available. 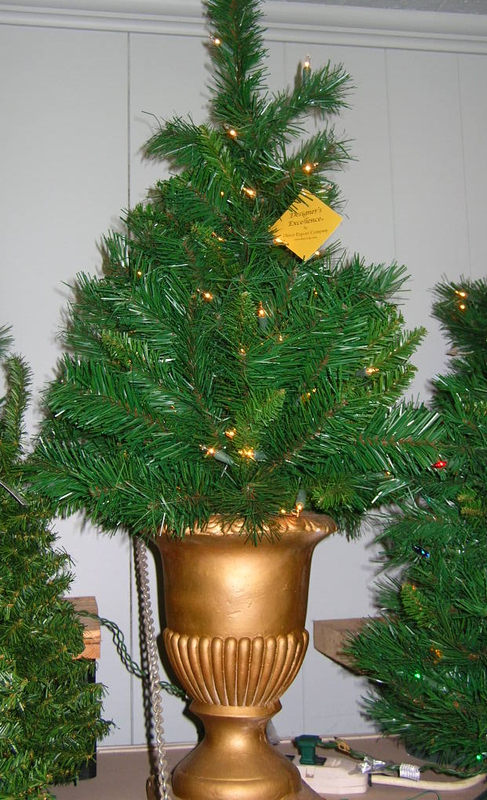 This value priced tree has rich thick needles and is perfect table tops, pots or other small locations. Available as freestanding tree or in decorative urn. A unique combination of several needle materials resulting in a very full and realistic look. Tips of the needles have very subtle white tips. Available with clear lights only. These stylistically different trees offer a distinct look for Christmas or are sometimes used for events or special purposes. 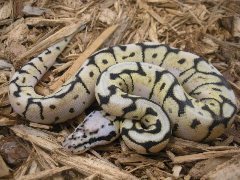 Many are 'one-of-a-kind' with limited availabilty. Various sizes.